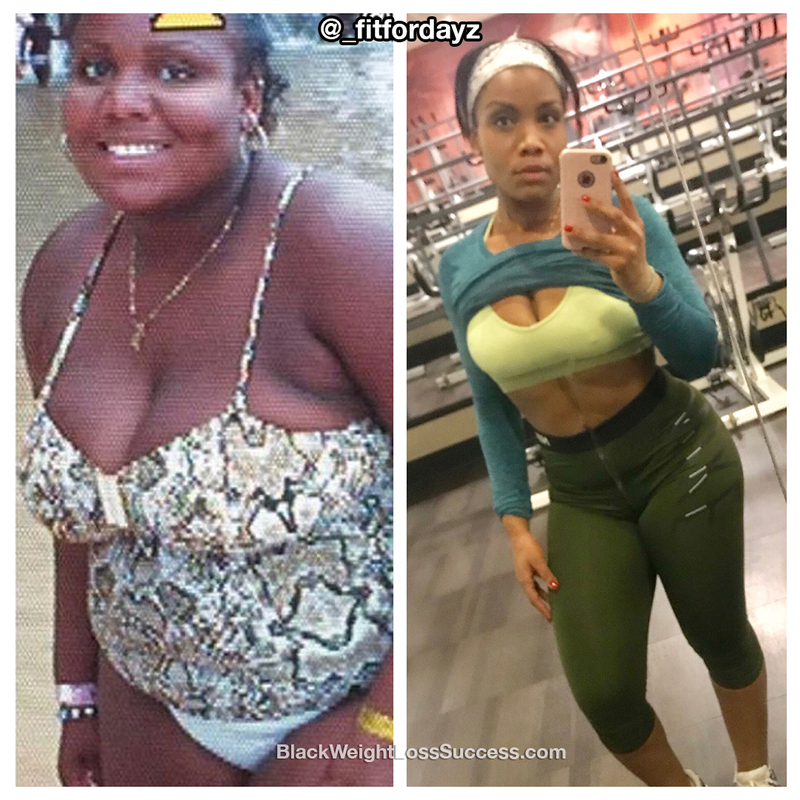 Update January 2018: Dayjelle wrote in and shared with us how she’s maintained her success with clean, flexible plant based eating and strength training. I maintained my weight loss by continuing with strength training. I gained a lot of muscle over the years, which makes it easier for me to keep the weight off. An increase in muscles mass increases the amount of calories that you burn daily. I also found joy in exercise. I use it as my “me time” and it never feels like a chore for me. Strength training is my favourite type of exercise. I taught myself how to build a workout routine that I enjoy. I found it best to become self educated in terms of exercises. It helps me to be able to build the type of body that I personally want. What has worked in terms of my diet is being flexible. In the past, I was very strict. Currently, I am eating a vegan diet and occasionally I’m more vegetarian. I still follow a meal plan, but now, instead of trying to be perfect all the time, I make sure to “eat clean” for 3 days and on the 4th day I have a cheat day. I found that this type of flexibility helps me stay motivated long term. I’ve learned is to love myself unconditionally while working towards being a better me. I also learned to have more fun along the journey and to not beat up on myself. Instead, I’ve learned to laugh at myself and to not take myself too seriously. Believe in yourself and your capacity to take control of your life and create change. It’s a very simple but very powerful truth. 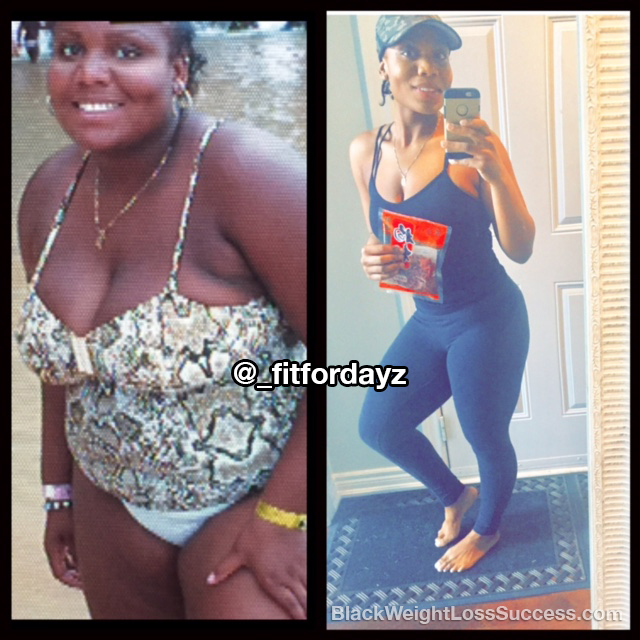 Transformation of the Day: Dayjelle lost 94 pounds. She didn’t want to feel bad about herself anymore. She knew that she had the power to change her lifestyle and her health, so she took control and starting making new choices. Over the course of 4 years, she has worked hard to figure out what works for her. Check out how she did it. What motivated me was the fact that I did not want to feel bad about myself anymore. It’s been 4 years since I first began on my weight loss journey. Throughout the course of 4 years, there were times when I wanted to give up. However, the thought of how bad I felt before compared to how good I feel now kept me going. My motivation is found by believing that I deserve more out of life. I do not need to feel bad about how I was due to my health. It is something that I have to power to change and I always kept that in mind. I initially started off by eating less of the foods that I was currently eating. When I started off on my weight loss journey, I weighed 256 pounds. Within 2 months of simply eating smaller portions and working out, I lost 30 pounds. As my weight continued to go down, I started to incorporate a bodybuilding style of nutrition. I ate a high protein and complex carb diet that included healthy and whole fats, like coconut oil, almonds, walnuts, and eggs. As I continued to lose more weight and as my body changed, I began craving new foods and rejecting others. Currently, I am eating according to a Vegan diet. This is something new for me, but I am seeing results with this way of eating. The advice I like to give when it comes to eating is to listen to your body, do your research and experiment to figure out what is best for you. Working out became something that I love and look forward to each day. I changed my perspective on working out, from something that was a chore to something I look at as “me time”. When I started off on my journey, I simply did cardio 5 times per week, 1 hour each session. I started very simply by walking on the treadmill for 30 minutes and going on the elliptical for 30 minutes. I saw dramatic results from doing that consistently overtime. As I continued to lose weight, I started experimenting with weight lifting. 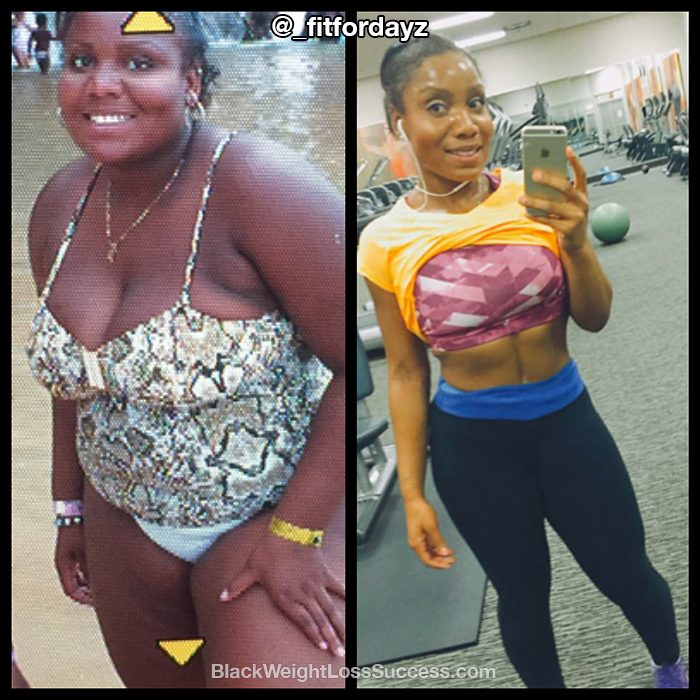 As I started to lift weights, I saw another dramatic change to my body. I lost even more weight and my body shape really started to come in. This was very exciting to me. All throughout my journey I would say that I kept the consistency of working out 5 days per week. By the way, I never had a trainer at any point in my journey. What advice would you share with other people who want to lose weight? The best advice I can give to other people who are looking to lose weight is to do it for you. I know it may seem hard at times, but it is something that can dramatically transform your life for the better. You deserve a shot at a better life. You were designed for much more. Do not let your health hold you back. It is something that you have the power to change. Find inspiration, get motivated and never let anyone tell you that you cannot do it! You look amazing. Can you share meal plans and a sample of one of your daily workout regimens? Wow! You look amazing! and should be very proud of yourself. Keep up the good work. Live, laugh, love. CONGRATULATIONS! Hi, like what I see. How do you get started. Been trying for a number of years to keep the weight off, but it always comes back. Help me to learn how to keep it off.